Crabs are delicious to eat but they are messy. Our both hands will be engaged while eating crabs. Isn't it? Roasted crab legs recipe is my favorite as the meat inside the legs tastes special. Is crab recipes easy? Many of my readers asks this question to me. Here is my answer. Though my family love crab recipes, i never encourage buying crabs. The reason is i hate crab cleaning. It is very easy to make something special with crabs but the only tough part is cleaning the crabs. 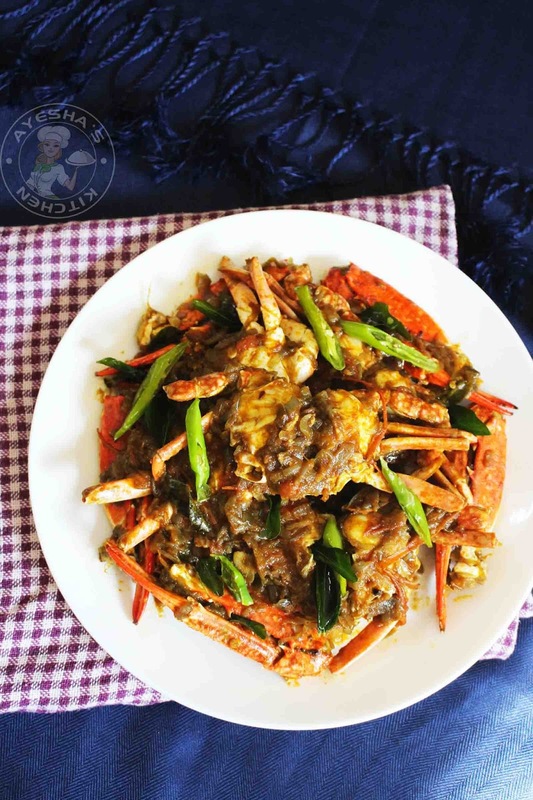 So i thought of putting a video along with this roasted crab recipe showing how to clean crab easily. Hope this video will helps you. Do you know that crab is a great source of protein? Do you know crab has high content of omega 3 fatty acids? Crabs contains selenium which plays an important role in the function of immune system. And like so , this shellfish has much more health benefits. So do have this nutritious crab meat occasionally. 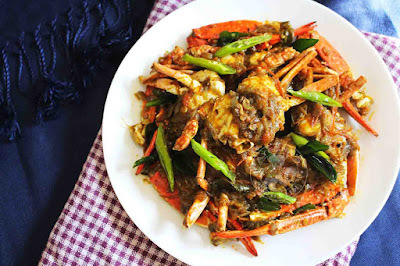 Here am sharing a simple and easy kerala style njandu masala / crab roast. 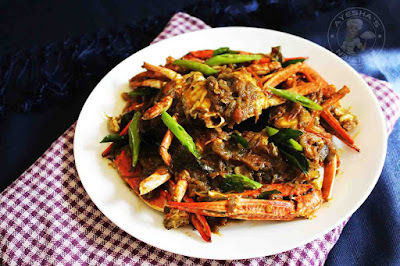 Crab recipes kerala style is an aromatic and flavorful seafood recipe. When i am at my home in Kerala( India ), my dad often bring fresh big crabs (king crabs). And the interesting part is, he just wash this crab in tap water as it is and then boil them in salt water until done. Though it smells yuck, the meat tastes heavenly delicious. Here is the recipe showing how to made crab roast / roasted crabs / crab legs recipe / roasting or boiling crab legs / crab meat recipe. Clean the crab well and set aside to drain. (Watch the above video showing how to clean crab). Heat oil in a wide bottomed pan and saute the raw spices (cardamom, cinnamon stick, cloves, bay leaves, fennel seed ). Then add the sliced onion and saute until golden. When done, add ginger garlic paste and green chilies slit. Saute until raw smell goes off. Then add the spice powders one by one and stir well. To this add the sliced tomato, salt and cook it covered for few minutes until tomatoes become mushy. Open the lid and add the cleaned crab and mix well with the gravy. No need of adding water. Let it cook well in the gravy. Once the crab is done, off the flame. Heat a pan with little oil . Fry green chilies, curry leaves and pour it over the curry for seasoning. Serve along with rice / chapati / dosa.